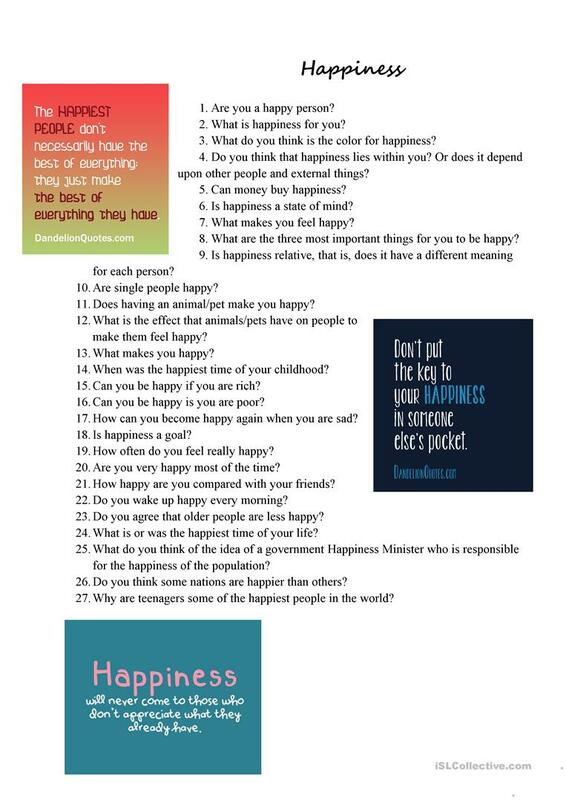 27 questions and some quotes. You can ask the students to comment on quotes and and answer the questions. This downloadable handout is intended for high school students and adults at Pre-intermediate (A2) and Intermediate (B1) level. It is a valuable material for honing your groups' Speaking skills.